“If we win the Test series, I’ll be over the moon. It means we will have had an amazing year. But right now I have no interest in stopping,” the Lancashire swing bowler said. 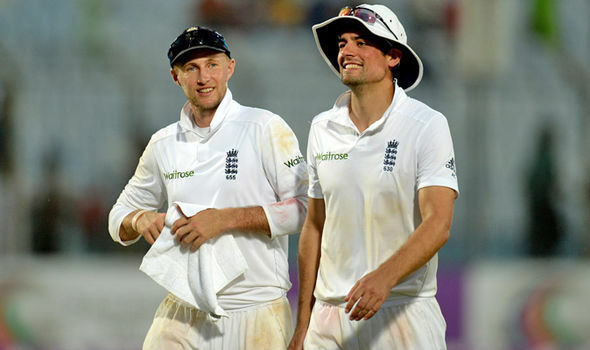 On Cook in the England team, Anderson hailed the move, adding that the former skipper would provide the experience that balances out Root’s “aggressive and attacking style.” Anderson opines that Cook will be helpful in Root’s development with him in the first three to six months. On lesser Test cricket, Anderson said it was the right move, saying that “T20 is good for cricket in general” after England and Wales Cricket Board decided to introduce All Stars Cricket for age five to eight. “The Test matches aren’t filling grounds. I’m not sure what the answer is,” he added. He asked that the admin ensure that Test cricket continues but says he wants T20 to grow. “Test cricket is the pinnacle. It’s the toughest test mentally. There’s a huge place for it still,” Anderson said. This entry was posted on Saturday, June 3rd, 2017 at 11:49 am	and is filed under Ashes Videos, England. You can follow any responses to this entry through the RSS 2.0 feed. Both comments and pings are currently closed.